A lobby group says solar power may put $170 bln of utility revenue at risk. Meanwhile Elon Musk’s panel installer SolarCity could quadruple sales in two years, and solar ventures abound. No wonder a big Arizona utility is fighting back with a fee on citizens with solar panels. 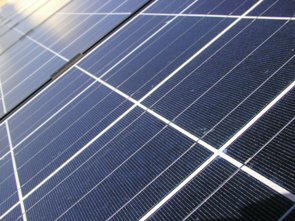 Arizona’s utility regulators on Nov. 14 voted to allow the state’s largest utility to impose a monthly fee on residential customers with rooftop solar systems. The $5 a month fee was less than the Arizona Public Service was seeking. The utility had pressed regulators to impose a charge to customers on homeowners with solar panels or cut the price at which they can sell excess electricity back to the grid. Utilities have also objected to the current regulation of rooftop panels in California and Colorado. A report prepared for the Edison Electric Institute in January examined disruptive challenges to electric utilities and suggested, among other things, that up to $170 billion in annual utility revenue could be at risk to solar alternatives by 2017. SolarCity, founded by technology entrepreneur Elon Musk, is on track to double revenue in both 2014 and 2015, according to a Goldman Sachs research report published on Oct. 27. The company enables households to install panels with no upfront cost. On Nov. 14 Google struck a deal with private equity company KKR to invest about $400 million in six solar power plants being built in California and Arizona.